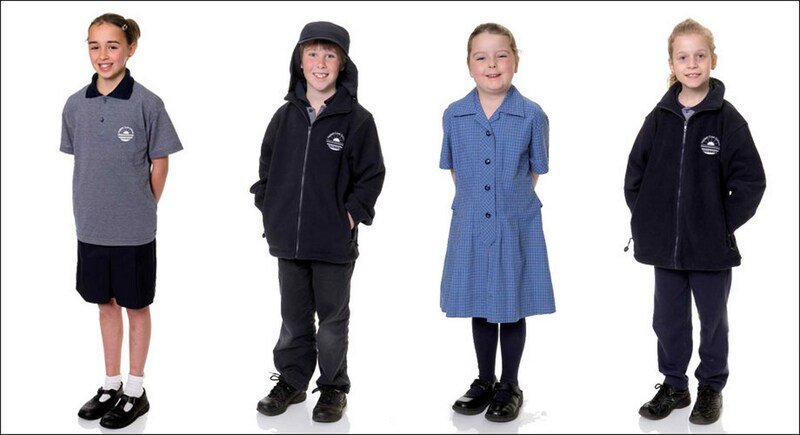 Hallett Cove School uniforms can be purchased from the Devon Clothing Shop or by using the shop online link on this page. 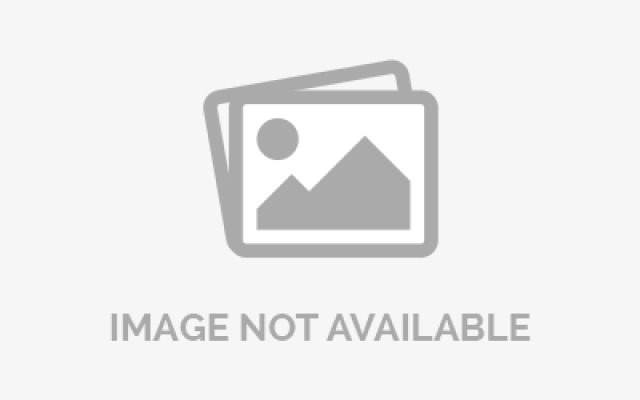 The Secondhand Uniform Shop has a selection of school uniform items for sale. Polo tops, PE tops, shorts, (rugby and stubbies), tracksuit pants, (parachute and fleece), boys stubbies, drill pants, girls pants, windcheaters, rugby tops, winter skirts and summer dresses. All stock is available in a variety of sizes from junior through to senior, some items near brand new. Items for sale on consignment or donation are accepted all year round and can be dropped off to the front office or on the afternoons the Secondhand Uniform Shop is open. Items must include your name, address, contact number and the price you are willing to sell for. Items will be held for approximately 12months and cheques issued for amounts sold. 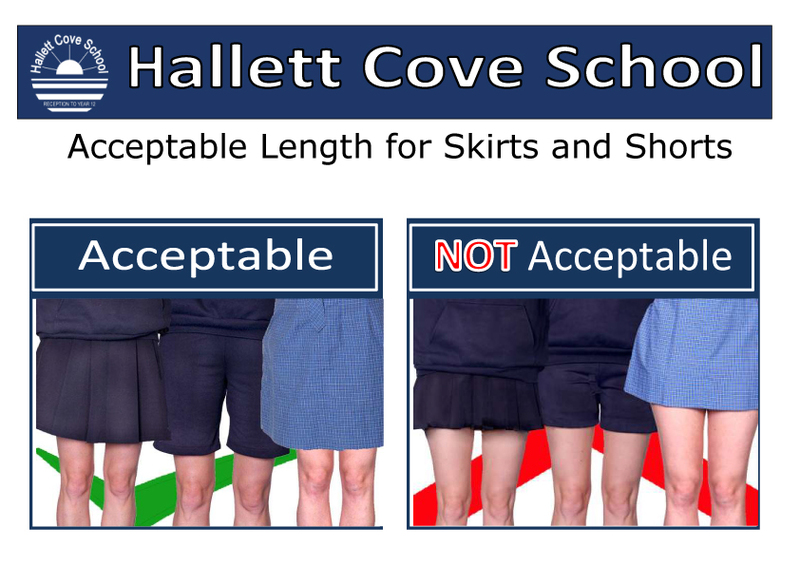 Hallett Cove School invites students/families to order and purchase their new uniforms online. It is a very easy service to use. 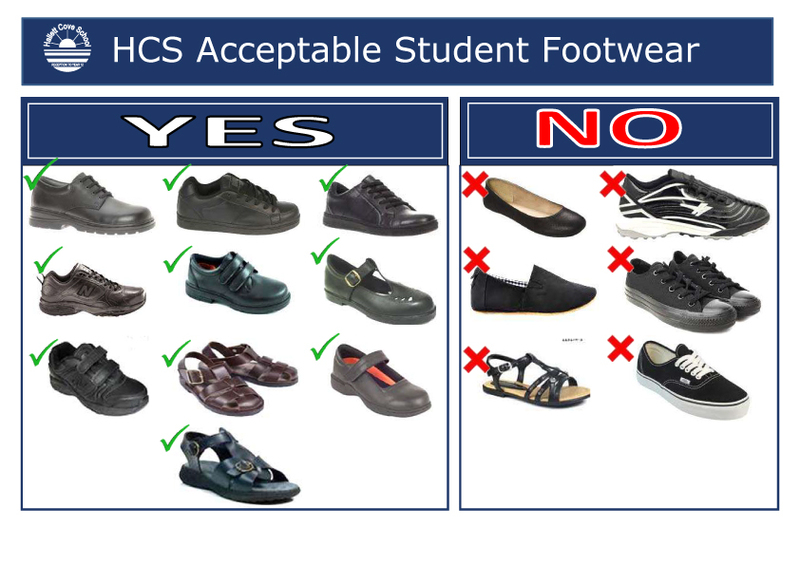 Below is a selection of suitable school shoes. Students in Year 7-12 BLACK SHOES Boys:Plain black lace-up shoes or trainers with black soles, black laces and black eyelets. Girls: Plain black lace-up shoes or trainers with black soles, black laces and black eyelets OR Black T-Bar styled buckled shoes with black soles. Students in Year R - 6 BLACK SHOES Boys: Plain navy, black or brown sandals OR black lace-up or Velcro shoes OR trainers with black soles, black laces and black eyelets. Girls: Plain navy, black or brown sandals OR black lace-up or Velcro shoes OR trainers with black soles, black laces and black eyelets.